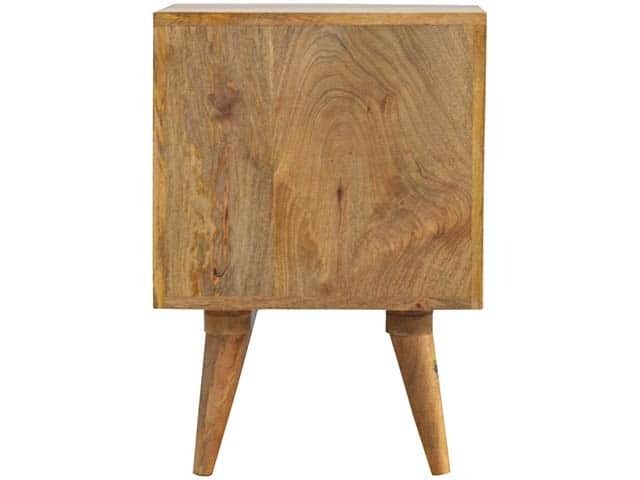 Enjoy the minimalistic design of this Solid Wood Bedside Table. 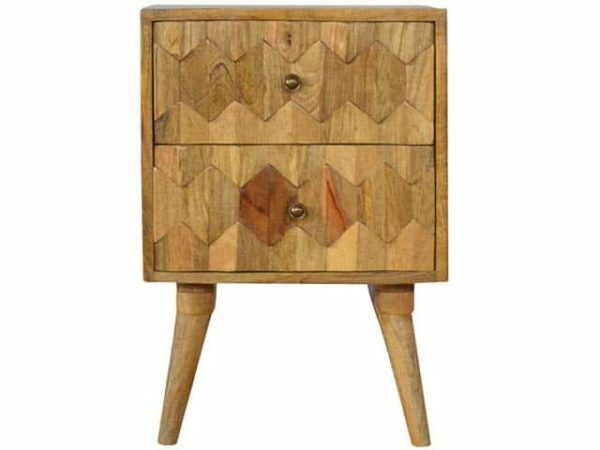 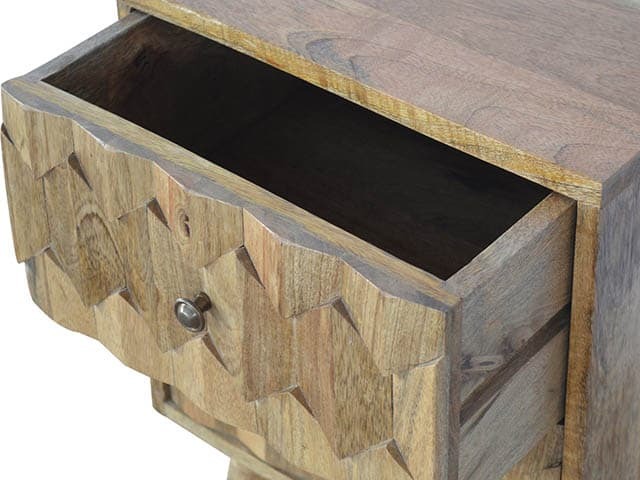 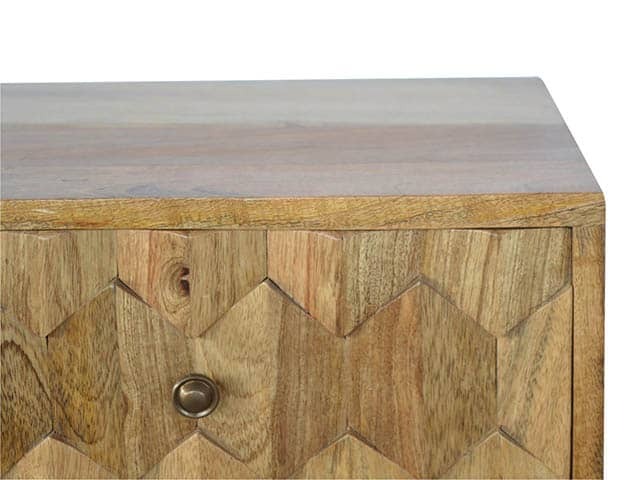 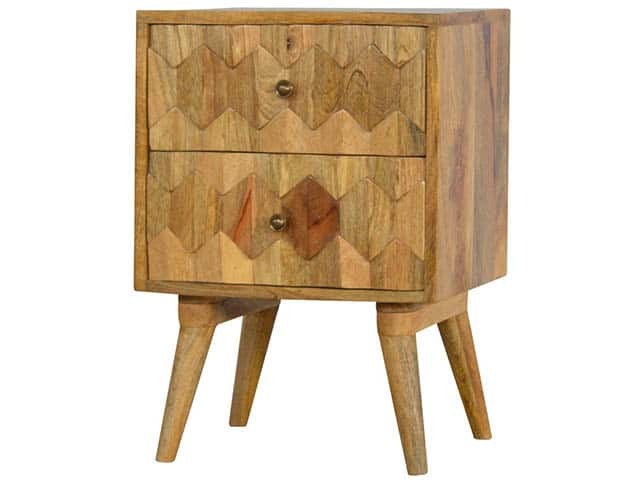 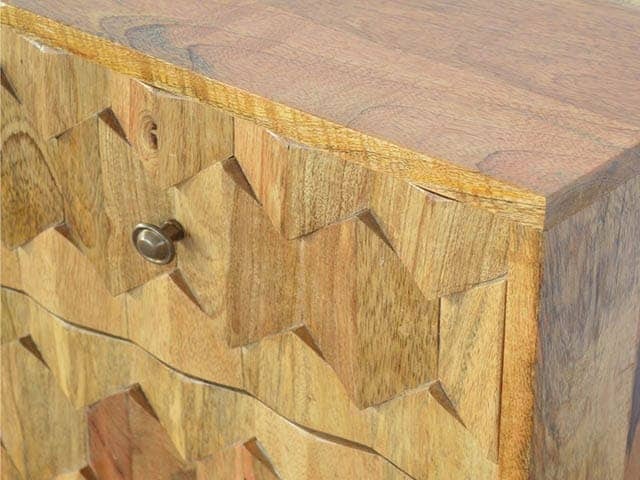 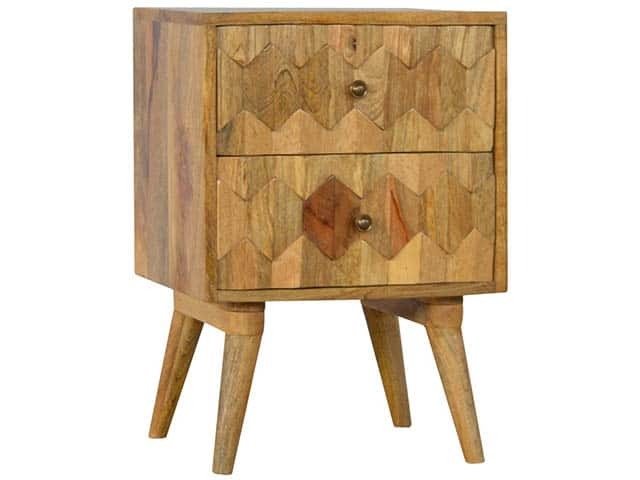 Constructed from 100% solid mango wood in an oak-like finish with beautiful pineapple carving on the drawers. 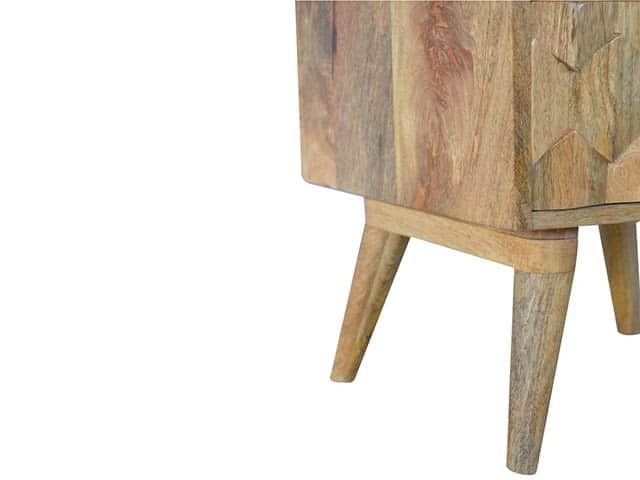 It features 4 Nordic style legs and two deep drawers to take care of everyday utility items. 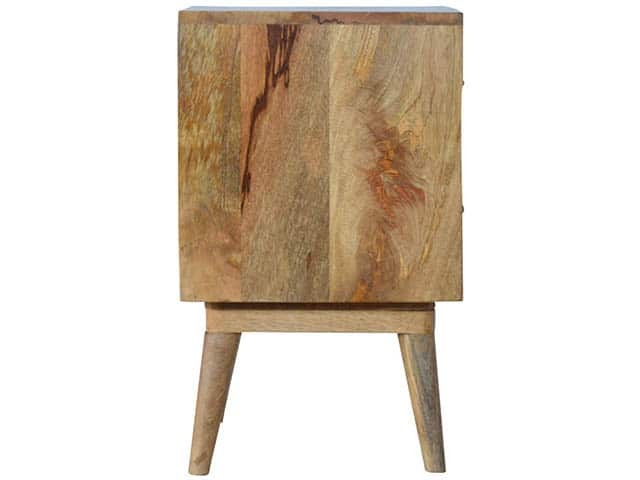 This Solid Wood Bedside Table will add a definite and lasting character to your bed or living room.